Boldenone Undeclynate is the chemical name of the steroid we know as Equipoise. In order to make a steroid for use in the veterinary industry, the structure of the Dianabol product changed. Since it is more efficient to inject an animal every few weeks instead of feeding it steroids daily, the hormone was modified to create a product for intramuscular injection. By adding an ester (Undeclynate) to the hormone, scientist created a product that could suspend into an oil solution while also slowing down the rate at which the hormone will be used by the body. A single injection of Equipose can slowly release and be used by the muscles for as long as six weeks after administration. The common believe in the steroid world is that Equipoise will take up to four weeks to build up in the body before the user sees noticeable effects. It is also believed that Equipoise will taper off slowly at the end of a steroid cycle, so using Equipoise at the end will help make Post Cycle Therapy more effective. 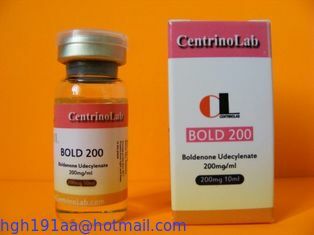 Doses of 400mg per week are normal when this steroid is used by itself. As part of a steroid cycle Equipoise can be used at a lower dose of 200mg per week, as long as the other steroid in the stack are dosed aggressively. For experienced steroid users the benefits are negligible at less than 200mg per week. Equipoise has not earned an exclusive classification as neither a bulking or cutting steroid. Instead, it is being widely use for both purposes with great results.